Our Tectorian of the Week is: Global Game Jam 2016! Global Game Jam (GGJ) is the largest event of its kind, and in 2015, generated over 135,000 participants from 500 cities in 78 countries. Seasoned game developers, graphic artists, musicians, writers and anyone with a love for video games are gathering in Victoria at Fort Tectoria at 777 Fort St. starting at 6PM on January 29 – 31st, for a weekend of collaborative game development, industry insights, and sleep deprivation. Our Tectorian of the Week is: Roy Group! Roy Group is sponsoring the very first installment of F*ckUp Nights in Victoria on January 28th at Fort Tectoria, so guests can enjoy some complimentary drinks and bites! Roy Group is a modern day tribe of practitioners, organizational advisers and executive educators who share an appetite to be better, everyday, at what they do for their clients including: designing and delivering 1:1, group and organization-wide experiences that accommodate the nuances of organizations. Ian Chisholm of Roy Group just had a busy week of exploring Alberta with EEDC (Edmonton Economic Development), exploring the potential, power and #Opportunity_in_Conflict. F*ckUp Night will feature stories of failed businesses and projects that are told, questioned and celebrated. Thanks for stepping up to support a tech community event, Roy Group! Our Tectorian of the Week is: Net² Victoria! Net² Victoria helps nonprofits use technology to run their organizations and tell their stories. 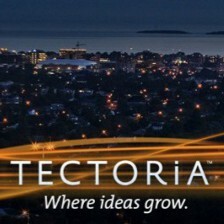 The group puts on seminars on a monthly basis with the venue space sponsored by Fort Tectoria. Some of their most recent topics included “Social Media Surgery: Hands on advice & help” and “Collaborate Effectively and Develop Your Work Flow”. Their events are becoming more and more popular as the content, speakers and format are spot on. Suggested donation is $5 and you can RSVP here. We hope to see you there!